Did you watch the 2019 March Madness® Selection Show last night? Judging by the vibrant emotions on display and unrelenting energy, you would almost think it was the championship game itself. “Selection Sunday” is an annual TV tradition that builds excitement for the coming showdown between the top men’s college basketball teams in the country. Suspenseful animations dramatically reveal each team’s first-round matchup and preliminary ranking (called a seed). The visuals are aided by intense discussion from sports pros about the first-round matchups and predictions. Yet another layer of sensation features live video of each team’s campus during selection, showing the impassioned reactions from the team and fans about their school’s seed. Along with boosting TV ratings, the intensity of this program helps impart upon the viewer a desire to follow the tournament to its finale and an itch to compete. And there’s nothing wrong with that – people from all walks of life enjoy watching sports! Did we mention that tonight is “Selection Monday,” featuring a similar show to reveal the women’s tournament matchups? The NCAA goes on to state that sports betting “has the potential to undermine the integrity of sports contests and jeopardizes the welfare of student-athletes and the intercollegiate athletics community.”1 If you’re familiar with the expressions “throwing the game” and “match fixing,” it’s easy to see why the league would go to great lengths on this stance. In fact, sports gambling is grounds for ineligibility and lifelong termination for players from NCAA schools. Beyond the dangers to the game and the careers of aspiring young athletes lie the inherent risks of disordered gambling to our communities. State and national studies have confirmed that sports betting is among the top forms of gambling presenting the greatest risks to adolescents and adults. Gambling addiction has the power to devastate players, fans, and families, and has far-reaching implications for society at large. Given the impacts, the NCAA’s campaign, Don’t Bet on It!, highlights how gambling affects its players. Yet, sports betting affects people of all ages, so remember, if someone lacks interest in the games or simply chooses to opt out of the discussion, resist asking for an explanation. It’s not always easy to tell who may be suffering from this hidden addiction, but it’s essential to be supportive. For someone with a gambling problem, the hype surrounding March Madness® alone is enough of a challenge to resist the urge to place a bet. Be mindful of the immense time and effort a person in recovery for gambling disorder has invested and that the pressure to place a bet can lead to relapse, undoing it all in minutes. 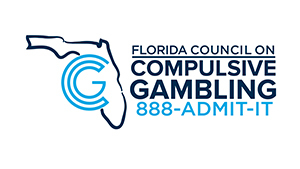 It helps to be familiar with the warning signs of problem gambling and to know Florida’s 24-7, Confidential, and Multilingual Problem Gambling HelpLine, 888-ADMIT-IT, which offers resources that include free treatment for those suffering from gambling addiction and their loved ones. 1 “Americans Will Wager $8.5 Billion on March Madness.” American Gaming Association, 18 Mar. 2019, www.americangaming.org/new/americans-will-wager-8-5-billion-on-march-madness/. 2 “Sports Wagering.” NCAA.org – The Official Site of the NCAA, 14 Feb. 2019, www.ncaa.org/enforcement/sports-wagering. The Hidden Addiction is Watching Tonight – Will It Be on Your Couch?